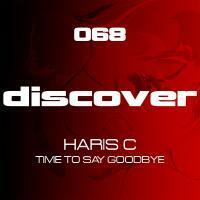 Haris C has been pioneering the trance sound in Cyprus for many years now and has been a great supporter of the Discover label and its artists during that time. His productions have achieved success on a global scale with quality labels including Fektive, Factual and Alter Ego and now he adds Discover to the list with his latest release. This is proper trance with a powerful melody and lead line set over an equally strong groove and meshed together with faultless production skills. Sly One versus Jurrane get on the remix wearing their melodic hats and deliver a quality remix with one of the lushest breakdowns we have heard in a long time. 'Time To Say Goodbye' is available now from Beatport and iTunes.